HotForex is a very popular broker in the Forex world. This is due to the number of offers and resources it offers. In addition, until today it has maintained a good reputation in the broker market. However, miracles are hard to come by; as such, HotForex won’t do anything unless you take the right choices. The first step would be to answer: What HotForex account should you open? The money does not grow in trees unless you plant a seed. It is always necessary to keep the nest egg in movement in order to increase it day by day, one of the best ways to do it is running in the stock. Somebody will always say “that is for great businessmen who know the market”, but that’s where they are wrong. Even the greatest businessman use brokers to know where to put the money, and why not do so if, for a “small” commission, they put you on the right path. If your goal is to invest in CFDs and you are just beginning your journey through the world of finance, there’s no doubt that hiring the services of a broker is the best option as this will guide you through the first steps of the investment and will help to discern between a successful decision and one that can lead to economic losses. Of course, remember that there are risks and money can always be lost. The big challenge is not deciding whether or not to use a broker, but which of all available in the market is the most convenient since many of these sites lend themselves to scams that end with the theft of hundreds of dollars of people. As we said in the beginning, HotForex has been positioning in the broker market as a reliable option and, the different types of HotForex accounts have made it recommendable for most traders. HotForex is adjusted to the needs of clients, with different characteristics depending on the investment, the benefits, and the market risk that the client is willing to assume. There are eight different types of HotForex accounts with different trading conditions. So, What HotForex account should you open? Is the real question to be considered for this opportunity. Micro: The micro HotForex accounts are for small individual investors, who do not have much knowledge of the swings in the currency market and who want to make minimal investments. These HotForex accounts require a minimum deposit of five dollars and have variable differentials of 1 pip, allows the client a maximum leverage of 1:1000 and a maximum of 150 accounts of this type open simultaneously. In addition, the micro account does not charge commissions and is managed with the trading platforms Metatrader 4 and Webtrade. Zero: This type of HotForex account requires an investment greater than $100 and a variable difference of zero pips, the maximum leverage in this case is 1:200 and can handle from 60 to 500 accounts of this type according to certain conditions. PAMM: This is the HotForex account that follows the zero in order of investment, since it requires a minimum deposit of $250, with a maximum leverage of 1:300. The differentials of the Pamm account are of the variable type and of at least 1 pip in Forex and something more in other assets. It allows a maximum of 350 open orders simultaneously. Premium: HotForex offers this type of HotForex accounts for clients who feel more confident regarding the investment of CFDs in Forex, stocks, and commodities since the minimum deposit is $500. Like the Micro account, the spreads are variable, starting at 1 pip. It offers a maximum leverage of 1:400. It can handle up to 300 Premium accounts simultaneously, and it mainly uses the Metatrader 4 and Webtrader as its trading platforms and does not charge commissions per client. Currenex: Like the Premium option, this HotForex account requires a minimum investment of $500, with a maximum leverage of 1:400, with differentials of the variable type and 0.2 pips minimum, allowing a maximum of 350 open orders. Fixed: This is an HotFores account for experienced investors, designed for traders looking for fixed spreads beyond market conditions. This account requires $500 as a minimum investment and a maximum leverage of 1:400. The difference, in this case, is that the spreads are fixed, and allows a maximum of 300 open accounts. Auto: This is a special HotForex account, designed to offer traders with a trading system of any kind, selecting suppliers through the Metatrader 4 and Webtrader platforms, as well as through mobile apps in an automated way, hence its name. The minimum deposit for this account is also $500, with a maximum leverage of 1:400, and variable spreads of 1 pip. It allows a maximum amount of 300 open orders simultaneously. VIP: This type of HotForex account is for large investors who are not afraid to deposit large amounts of money in exchange for even greater profits, but always with a considerable market risk. In this case, a minimum investment of $20,000 is required, with spreads from 0.2 pips, and a maximum leverage of 1: 300. This type of account works on different trading platforms such as MetaTrader 4, Webtrader and mobile trading, with a maximum of 400 simultaneous transactions. With the VIP HotForex accounts, $6 commission is charged per a standard lot of purchase or sale but allows the client three private consultations of thirty minutes with the Hotforex Senior Analyst, Stuart Cowel, who has more than 25 years of experience in the industry. In conclusion, whatever your operational strategy, your level of funds, or your appetite for risk are. 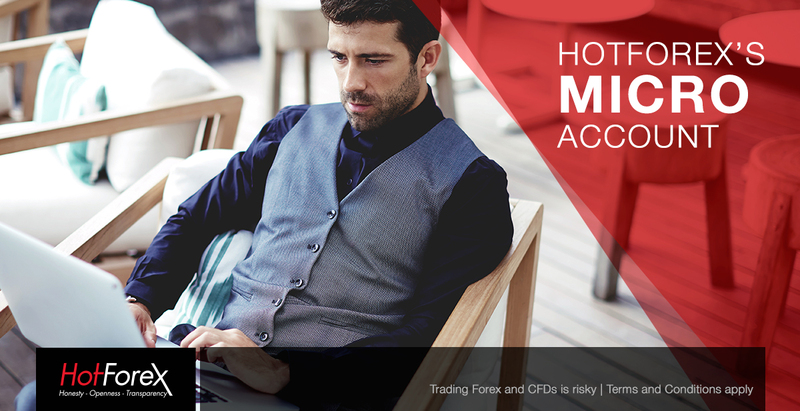 Whether if you are thinking about opening a Demo or a Real account there will be an account that fits your needs in HotForex, you just need to take your chances. So, the cards have been served on the table, make your move and win. What FXPRO account should you open? Is FxPro a scam FOREX broker?